Brian and I have visited about a dozen Occupy camps on this tour, and I captured a number of those in snapshots which I have posted online via Picasa. There is a lot more to say about things we observed, people we met, conversations we had at various Occupy sites; many thoughts that have been provoked by this movement. However, at this moment I just want to post these links. 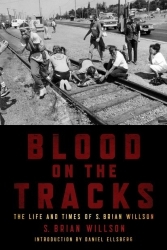 This entry was posted in Blood on the Tracks, Book Tour, East Coast leg, Occupy and tagged Albany, Baltimore, Boston, Buffalo, Chicago, Cleveland, DC, Maine, Manchester, New York, Rochester, Wall Street, Washington. Bookmark the permalink.